We are well aware that every investor would like to get professional guidance on which they can bank upon. They want their investments to be made under supervision of the experts. To cater to the needs of our business associates, we have a complete well qualified panel of experts who have deep market insights and are just a click away. 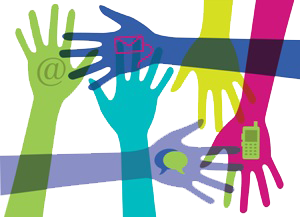 Full time advices from experts is available on one to one basis depending on the needs of the client. Dedicated team of experts analyze your investment needs and offer workable solutions that help your investments grow. Passion Commodities Pvt. Ltd. tries to ensure that all information and materials, whether in relation to the products, services, facilities, offerings or otherwise provided as part of this website is correct at the time of inclusion on the web site, it does not guarantee the accuracy of the Information. Passion Commodities Pvt. Ltd. makes no representations or warranties as to the completeness or adequacy or accuracy of Information and expressly disclaims liability for any errors or omissions or delays in updating this information. The persons receiving the information are supposed to make their own determination as to its suitability for their purposes prior to use or in connection with the making of any decision. No Information at this web site shall constitute an invitation to invest in any security or financial product. Any use of this website or the Information is at your own risk. Nothing contained herein is to be construed as a recommendation to use any product or process, in conflict with any patent, or otherwise and Passion Commodities Pvt. Ltd. makes no representation or warranty, express or implied that, the use thereof will not infringe any patent, or otherwise. Passion Commodities Pvt. Ltd. along with its directors, employees, associates or other representatives and its Affiliates along with its directors, employees, associates or other representatives shall not be liable for any damages or injury arising out of or in connection with the use of the Website or its non-use including non-availability, compensatory, direct, indirect or consequential damages, loss of data, income or profit, loss of or damage to property (including without limitation loss of profits, loss or corruption of data, loss of goodwill, work stoppage, computer failure or malfunction, or interruption of business; under any contract, negligence, strict liability or other theory arising out of or relating in any way to the Website, site-related services, or any products or services and claims of third parties damages or injury caused by any performance, failure of performance, error, omission, interruption, deletion, defect, delay in operation or transmission, computer virus, communications line failure, theft or destruction or unauthorized access to, alteration of, or use of information, whether resulting, in whole or in part, from or relating to any of the services offered or displayed by Passion Commodities Pvt. Ltd. on the Website. The Services on the Website do not constitute an offer to sell or a solicitation to any person in any jurisdiction where it is unlawful to make such an offer or solicitation. These Service are not intended to be any form of an investment advertisement, advice or information and has not been registered under any commodities and/or commodities law of any foreign jurisdiction and is only for the information of any person in any jurisdiction where it may be lawful to provide such information, otherwise the same shall not be considered an information. The distribution of this Service or content in other jurisdictions may be restricted by law and the persons who access the Service should inform themselves about, and observe any such restrictions. Use of the website and its contents is at own risk of the person using the web site. The data and information provided on the website is not advice, professional or otherwise, and should not be relied upon as such. Neither the information, nor any opinion contained in this website constitutes a solicitation or offer by Passion Commodities Pvt. Ltd. to buy or sell any commodities or other financial instruments or provide any investment advice. Passion Commodities Pvt. Ltd. or their employees have or may have an outstanding position or holding in the commodities or other related investments of issuers and companies mentioned herein. The investments discussed or recommended in the analysis, research reports, etc. may not be suitable for all investors. Investors must make their own investment decisions based on their own specific investment objectives and financial position and using such independent professional advisors as they believe necessary. Information herein is believed to be reliable but Passion Commodities Pvt. Ltd. does not warrant its completeness or accuracy. The content of the articles and the interpretation of data are solely the personal views of the contributors and do not in any way reflect the views of Passion Commodities Pvt. Ltd. Users are advised to use the articles and other data in the Website only as information. This research based service is provided by in house team of experts. The Service is for information purposes only. Passion Commodities Pvt. Ltd. makes no representations or warranties regarding the accuracy, completeness or reliability of any information provided. Passion Commodities Pvt. Ltd. assumes no responsibility for errors or omissions in the Service. Users should conduct their own research before acting on any information received through the Service. Passion Commodities Pvt. Ltd .shall not be responsible or liable for any losses, costs, expenses, charges, including notional losses/lost opportunities incurred by a User as a result of acting or non acting on any information/material received through the Service. All information that may be provided on this Service or part thereof shall be on an "as is" basis. Passion Commodities Pvt. Ltd. shall not be held responsible or liable for any interruption to the Service resulting from breakdown of communication network, non-availability of Service due to technical defects, or other infrastructure related issues. Passion Commodities Pvt. Ltd. shall not be held responsible or liable for non-access or limited access to the Service. All information/material provided as part of the Service shall be for personal use of the Users and not for commercial use. No User shall distribute, disseminate or part with any information/material received from the Service to any person or entity whether in oral, written, electronic or digital form. It is expressly agreed by the User that exclusive jurisdiction for any dispute with Passion Commodities Pvt. Ltd. resides in the courts at Kanpur and the User expressly consents to the exercise of jurisdiction in the courts of Kanpur in connection with any such dispute. These terms shall be governed by and construed in accordance with the laws of India. All investments and investment related decisions are at the sole discretion of the User. User on account of the use of information/material provided as part of the Service. Users are advised to understand that the Service can fail due to failure of hardware, software, mobile and Internet connections. While Passion Commodities Pvt. Ltd. will endeavor that the Services are accessible at most times, the access to the Service is the responsibility of the User or his internet service provider. Service may be delayed and/or not be available to the User on certain days, owing to technical reasons, and Passion Commodities Pvt. Ltd. and/or its employees, officers, and directors and/or recognizant shall not be held responsible for the same. Trading in futures and the like is inherently risky and User agrees to assume complete and full responsibility for the outcomes of all trading decisions that User makes, including but not limited to loss of capital. None of the information made available on the Service should be construed as an offer to buy or sell commodities or derivatives or other financial instruments nor advice to do so. User should not construe any information provided through the Service to constitute investment advice. It is purely informational in nature. The User may use the information as a resource only to further his own research on all featured commodities, sectors, markets and information received. Nothing disseminated through the Service should be considered as investment advice. All investments and investment products are subject to governmental, regulatory and relevant Exchange rules, regulations and guidelines and other applicable statutes. Any contests/promotions featured as part of the Service shall be subject to their own rules, and regulations and Users shall be bound by the same. And any terms are subject to change without prior notice. By subscribing to the Service either electronically or otherwise, the User agrees to terms and amendments as may be applicable. The Service may be withdrawn or discontinued without prior notice. By accepting the terms and/or accessing the Service, User consents to receive advertising or promotional material in electronic form or otherwise whatsoever. Passion Commodities Pvt. Ltd. does not accept any responsibility or liability for any advertising or promotional material that may be received by the User as part of the Service and the same lies specifically with the advertiser. Passion Commodities Pvt. Ltd. does not accept any responsibility or liability or guarantee the performance or merchantability of any product or services offered by any party pursuant to any advertisement or promotional material that may be received by the User as part of the Service and the same lies specifically with the advertiser. This Service is specifically for Users in the territory of India. Although access may be available to Users outside India, though not expressly granted, Passion Commodities Pvt. Ltd. shall have no legal liabilities whatsoever in any laws of any jurisdiction other than India. The Service contains material, including text, graphics and sound, which is protected by copyright and/or other intellectual property rights. All copyright and other intellectual property rights in this material are either owned by Passion Commodities Pvt. Ltd. or have been licensed to Passion Commodities Pvt. Ltd. by the owner(s) of those rights so that it can use this material as part of this service or are owned by Recognizant. Each party retains copyright on its own Information, including text, graphics and sound and all trademarks displayed on this service are owned by Recognizable or Passion Commodities Pvt. Ltd. and/or used under license by Passion Commodities Pvt. Ltd. affiliates. The information set out in the report, if any made available, has been prepared by the author based upon information available to him and/or made available to him and/or from information available in the public domain. No independent verification has been made of such information or sources. This report is for information purposes only. It has not been prepared with regard to the specific investment objectives, financial situations and/or particular needs of any specific person who may receive this report. Investors should seek advice from Financial Advisors/Certified Financial Planners/Financial Experts before investing their funds or acting on any investment strategies that may have been discussed or recommended in this report. No reliance may be placed for any purpose whatsoever on the information contained in this report or on its completeness. Readers should make appropriate enquiries before investing in any product or services. Passion Commodities Pvt. Ltd. or any of its associate companies (collectively referred to as "Passion group of companies” do not guarantee the accuracy or correctness of the information provided in the report made available or that any forecasts or projections made in the report will be realized. Passion Commodities Pvt. Ltd. does not accept any responsibility for any errors whether caused by negligence or otherwise or for any loss or damage incurred by anyone in reliance on anything that is included in the report. The recipient/investor shall solely be responsible for losses, damages, costs and other consequences resulting directly or indirectly from using any information made available in the report. Passion Commodities Pvt. Ltd. shall not be responsible for any acts of omission or commission made by readers or investors based on reliance upon the contents of the report. The report does not constitute nor is it intended to constitute an offer to buy or sell or a solicitation to an offer to buy or sell commodities or derivatives or mutual fund units or any financial products or an attempt to influence the opinion or behavior of investors or recipients. The views expressed herein may not necessarily be the views of Passion Commodities Pvt. Ltd, its directors, officers, or employees. Neither this report nor Passion Commodities Pvt. Ltd. has been registered in any jurisdiction. The distribution of this report in certain jurisdictions may be restricted or prohibited and accordingly, persons who come into possession of this report are required to inform themselves about, and to observe, any such restrictions. The information in the report reflects prevailing conditions as of date of publication and is subject to change from time to time. Any facts or figures mentioned in the report are merely indicative and readers/investors should obtain correct facts and figures before making any investment decisions. The information contained in the report may not be transmitted to, copied or distributed, in part or in whole, to any other person or to the media or reproduced in any form, without the prior written consent of Passion Commodities Pvt. Ltd. 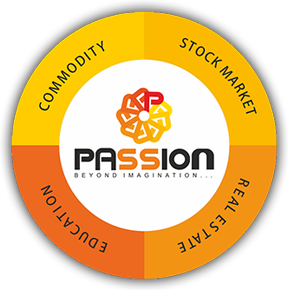 Note: We, Passion Commodities Pvt. Ltd, along with all our group companies, subsidiaries, associates, employees and executors take no responsibility and accept no liability for any relationship that may develop on the basis of content/reports displayed on the website. Exchanges / Depository : "Prevent unauthorized transactions in your account -- > Update your mobile numbers / email IDs with your stock brokers/depository Participants. Receive information of your transaction directly from Exchange/Depository on your mobile/email at the end of the day ........Issued in the interest of Investors." KYC : "KYC is one time exercise while dealing in securities markets - once KYC is done through a SEBI registered intermediary (broker, DP, Mutual Fund etc. ), you need not undergo the same process again when you approach another intermediary." SEBI Notification:"No need to issue cheques by investors while subscribing to IPO. Just write the bank account number and sign in the application form to authorise your bank to make payment in case of allotment. No worries for refund as the money remains in investor's account." 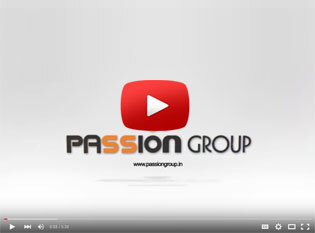 Passion Group is one of the leading brokerage house in India. Passion Group is a name that stands for credibility, truth and superlative values. We enjoy a proven pedigree in the financial Services industry. © 2019 Passion. All rights reserved.